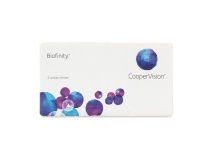 Experience the comfort of Biofinity® breathable contacts that maximize oxygen flow to keep your eyes looking and seeing their best. 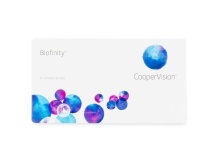 All CooperVision® Biofinity® lenses are made with patented Aquaform® material that allows lots of oxygen to pass through to your eyes, while maintaining moisture and keeping lenses soft and flexible. 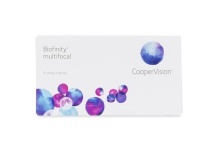 Your eyes stay comfortably hydrated all month long because this deposit-resistant hydrating material isn’t a coating on the lens, it’s the material of the lens itself. 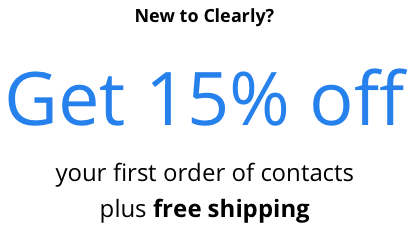 Biofinity® contacts are made for a month of daily wear, but can also be worn continuously for up to six nights and seven days. Biofinity® Toric are the most prescribed toric lens on the market, and for good reason: their patented Optimized Toric Lens Geometry™ design increases stability and reduces lens movement when you blink, resulting in consistently clear vision. Biofinity® multifocal contacts with Balanced Progressive® Technology allow you to see clearly up close, at middle distances, and far away, and all in oxygen-rich comfort.